And you thought what the Ocean’s 11 guys took from Vegas was impressive. When the Kansas City Royals won their first World Series in 30 years, one Las Vegas man seriously cashed in, too – winning a whopping $2.5 million. 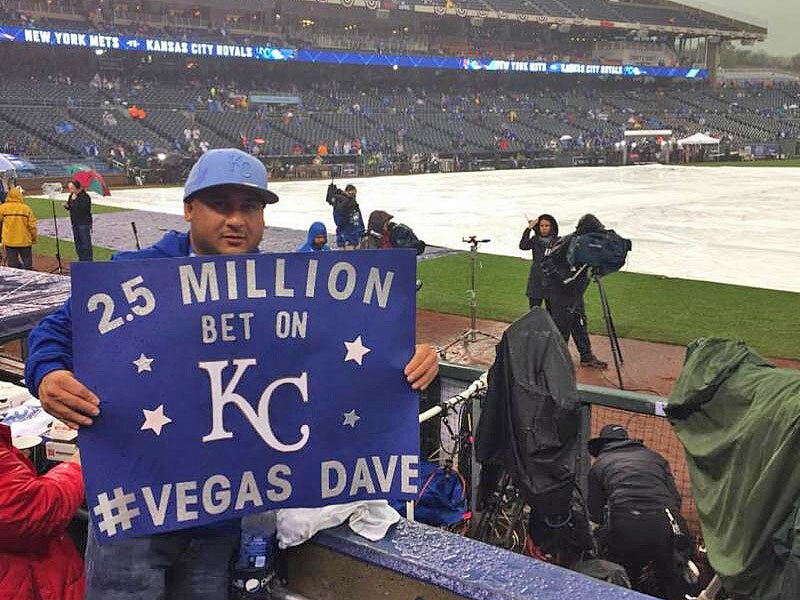 Toward the beginning of baseball season, way back in April, Dave Oancea bet $100,000 on the Royals to the win the World Series at 30 to 1 odds. (In other words, if someone places a $1 dollar bet, he or she wins $30 if they are correct.) On Sunday night Oancea – also known as Vegas Dave – cashed in for $2.5 million. It’s believed to be the biggest future bet cashed in the history of sports betting, one he made when the team was in last place. His win even prompted one casino to change the way it accepts futures bets. Oancea bet at multiple casinos, spreading thousands of dollars around Las Vegas. “I saw something that the so-called experts didn’t see in week one when [the Kansas City Royals] were picked to finish at the bottom of the division,” he wrote on his website before the World Series started. Oancea, a professional gambler, often traveled to games in Kansas City to cheer his team – and his wallet – to victory. He says he’ll use his winnings to buy his parents their dream home. He also plans to give back to the Las Vegas community by donating turkeys and toys to underprivileged residents during the holiday season.